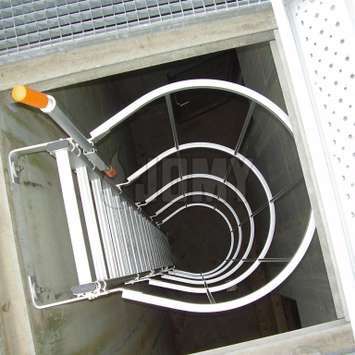 For access and evacuation at heights. 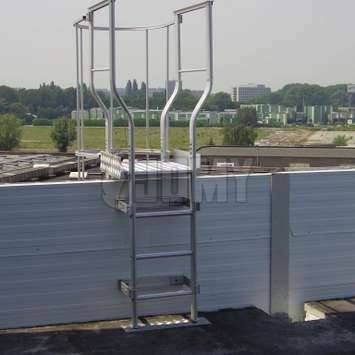 Engineered in marine grade aluminum for an easy installation and wide application versatility: access to roofs, wells, walkways, machines etc. and for all safety purposes. 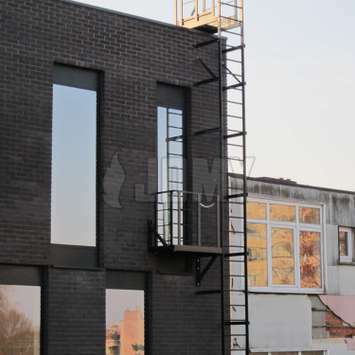 Modular buit based on standardized elements with a multitude of options to meet any specific requirements. 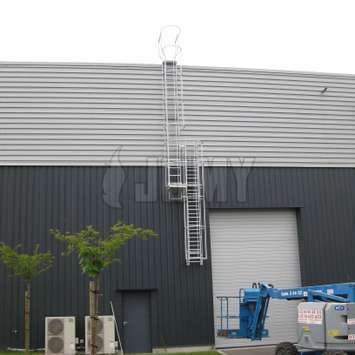 JOMY permanent ladders without a safety cage can be used for heights under 3 m or on higher heights when a fall protection line is used. 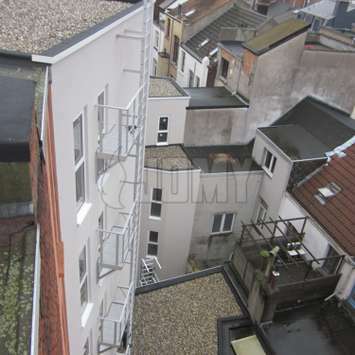 It can also be used as an "Antwerp" version or as a well ladder. 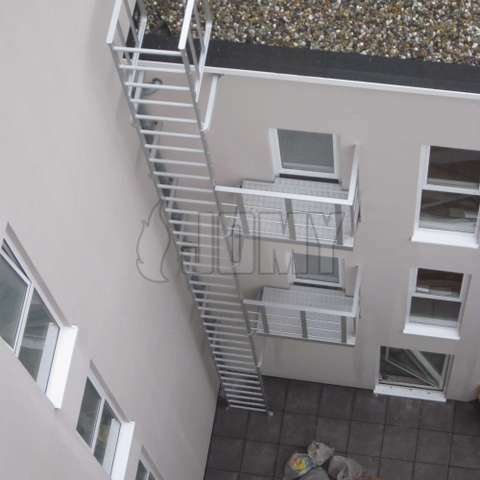 In some cases, security forces recommend to install the ladder at 60 cm from the façade, using the wall as an alternative to the safety cage. 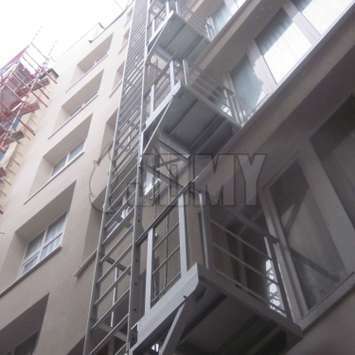 Options such as access landings, rest landings, counterbalanced lower sliding ladder, etc. are also available in this configuration. 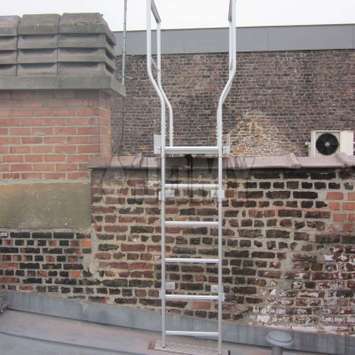 This ladder is popular in the city of Antwerp, Belgium. 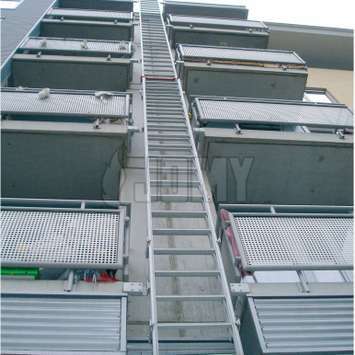 The ladder is installed against a flat or curbed well surface. 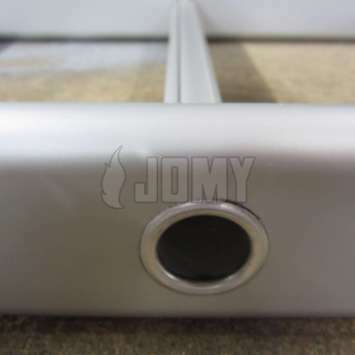 The useful width is 350mm with other dimensions available on request. 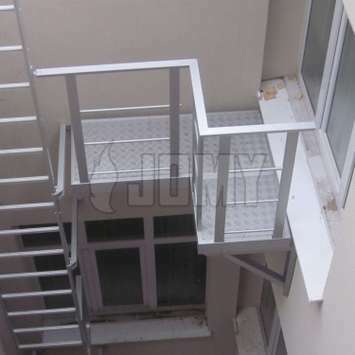 The distance between rungs is 280mm, with other dimensions available on request. 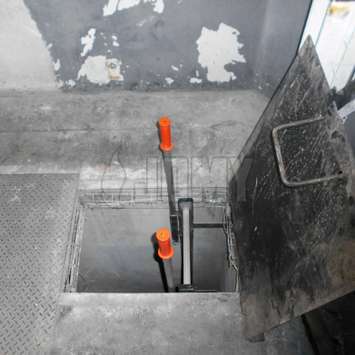 The manhole ladder can rest on the well floor or be suspended. 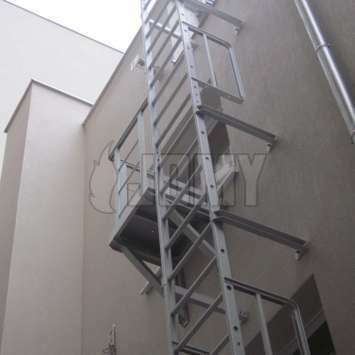 For easy access to the ladder, it is provided with a telescopic handrail. 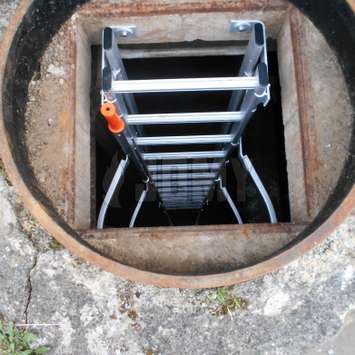 Wellladders can also be without a safety cage when the well is small in diameter and the well walls serve as back rest. 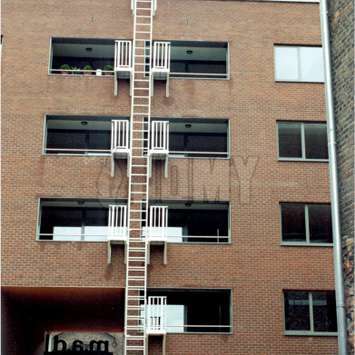 JOMY permanent ladders are constructed of Extruded anodized aluminum profiles. 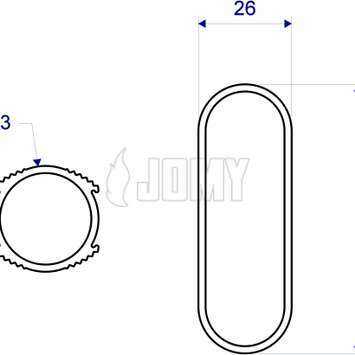 We use stainless steel fasteners. 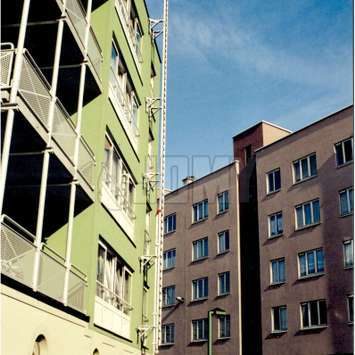 Factory polyester powder coating in any RAL color is available. 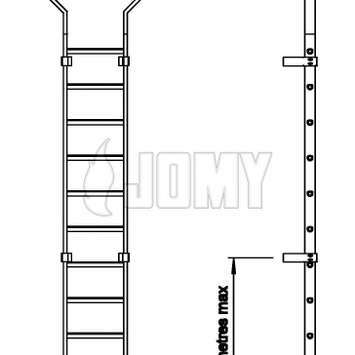 JOMY permanent ladders comply with prevailing standards. 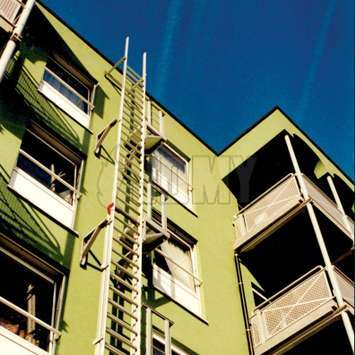 Standard elements assemble to any desired length with joint interlocking uprights. 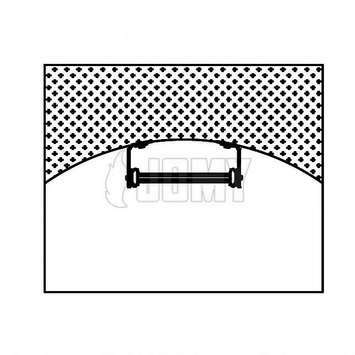 Uprights are oblongs profiles of 75mm x 25mm x 2mm. Rungs are inserted and snapped into the uprights. 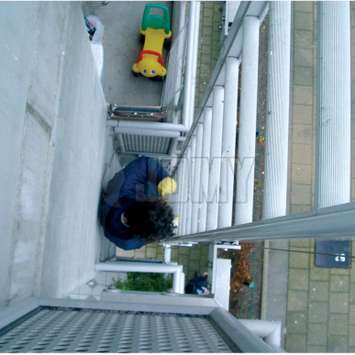 Rungs are ribbed on the upper side. 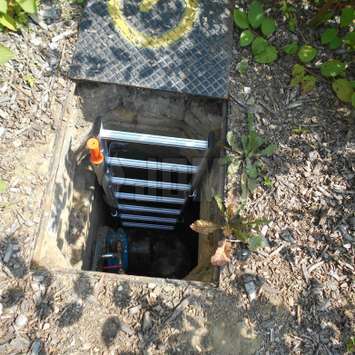 Useful rung width is 400mm. 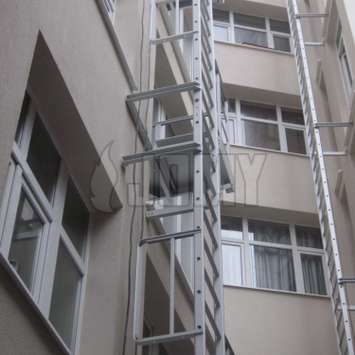 Rungs are placed every 280mm. 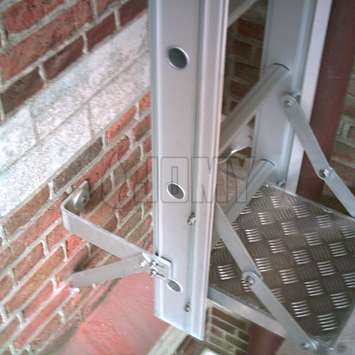 Specially designed fixing clamps are used to attach wall fasteners and safety cage hoops to ladder uprights. 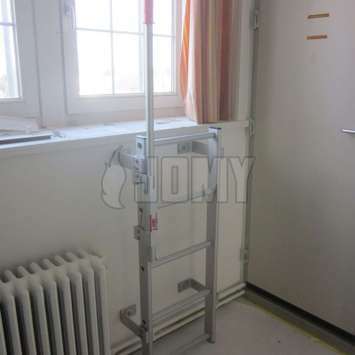 These fixing clamps can be clipped to the ladder uprights at any desired position. 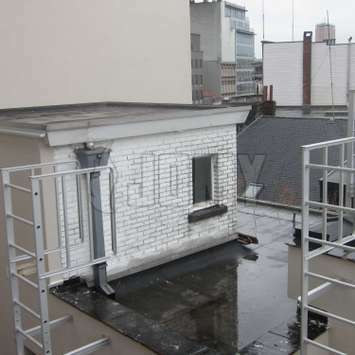 A large range of wall fasteners are available for fast and easy installation on most support structures. 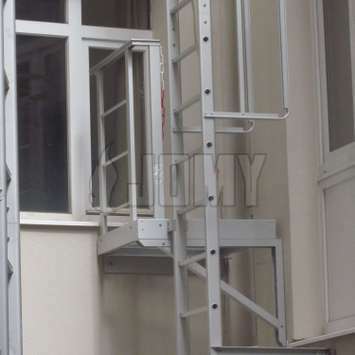 The ladder can be fitted parallel or perpendicular to the wall. 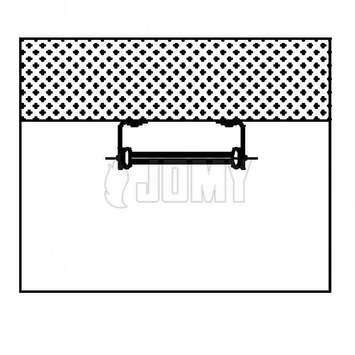 The vertical distance between wall fasteners should not exceed 3m, except when reinforced uprights are used. Fixing clamps can be used in two ways. 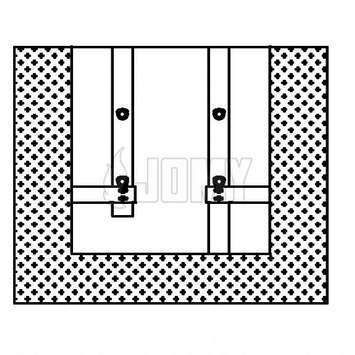 They can be competly fixed to allow for vertical movement. 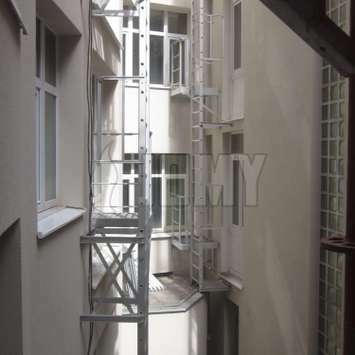 The fitting allowing vertical movement is used for long ladders, to accommodate thermal expansion of ladders and the building structures.